Energy conservation starts with an audit — high on the homeowner investment priority list. This recent home energy audit article in Mother Earth News sums up the need and rewards of home energy audits. If you live in the Seattle area, you may also qualify for assistance in window replacement, insulation and sealing drafts in your house under the newly expanded Community Power Works program. 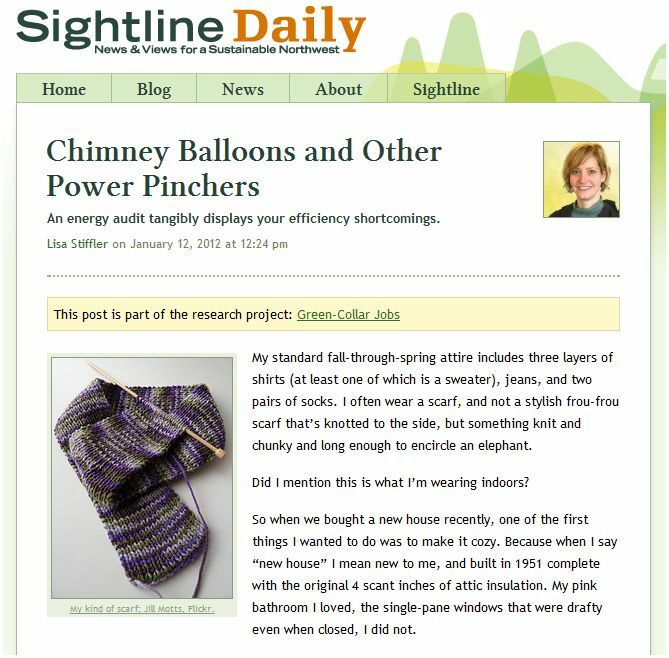 Lisa Stiffler describes in Chimney Balloons and Other Power Pinchers her recent experience hosting a Revolution Green Power energy audit at her Seattle home. This is a great story – take a look!